HE Minister of State for Foreign Affairs Sultan bin Saad Al Muraikhi met today with HE Ambassador of the State of Eritrea to the State of Qatar Ali Ibrahim Ahmed. 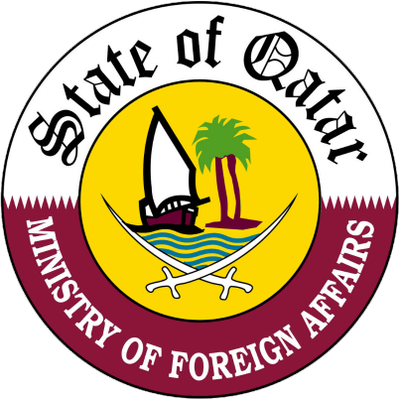 The Minister of State for Foreign Affairs handed the Eritrean Ambassador a note of protest against the contents of the press statement issued by the Ministry of Information of the State of Eritrea on Wednesday, in which the State of Qatar was accused of financing acts of sabotage against Eritrea, an accusation that the State of Qatar categorically rejects. The Minister of State for Foreign Affairs explained to the Eritrean Ambassador that the policy of the State of Qatar is based on firm principles of mutual respect between States, non-interference in internal affairs and laying the foundations for peace and coexistence between countries and peoples. He stressed Qatar's keenness on the security and stability of the Horn of Africa, and on deep historical relations with the Eritrean people.